Airlines cutting costs by limiting factors that increase fuel consumption is nothing new, but Indian low-cost airline GoAir looks to be going the extra mile here, announcing plans for a controversial policy of only taking on female cabin crew from now on. The carrier announced that such a move could save it up to £330,000 a year on fuel (30 million rupees), as female staff weigh in around 33lb to 44lb lighter than male staff would on average. It did however clarify that its existing 132 male staff would not be sacked – simply that no new male staff would be brought on board. The move forms part of larger plans by the company to save weight – and hence fuel – on its flights. It also announced that it will cut the size of its in-flight magazine, and only fill its water tanks to 60 percent capacity. It also said that new planes would have wingtip devices to help reduce fuel burn. 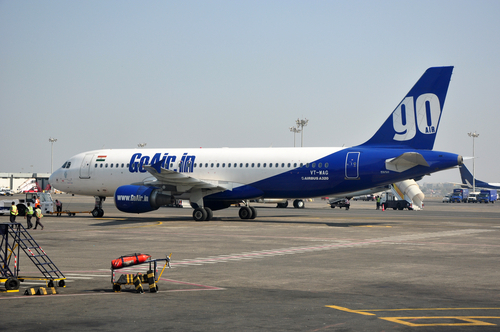 GoAir estimates that each pound of weight costs it 1.7 pence per hour of flying, and with the sharp recent decline of the Indian rupee, which has hurt the industry badly, every small amount counts. The airline expects to hire 2,000 extra cabin staff and pilots by 2020.